« Seven straight – so sweet!! Their record is a bit deceptive. Stung by poor free throw shooting down the stretch Friday, the Coupeville High School girls basketball team fell 39-35 to visiting 2A Sequim. And, with that loss, the Wolves fall to 1-4 heading into another non-conference game Saturday, this one on the road at South Whidbey. But the record is deceptive, as I said, because if a few plays go differently, a ball bounces in a different direction, or some free throws drop, and CHS is 4-1, maybe even 5-0. The Wolves, who are rebuilding after losing four starters, have been in every one of their games until the end, with three of four losses by six points or less. Friday night was a classic example of how Coupeville is playing this season — scrappy on defense, opportunistic on offense, but just not always clicking on every cylinder. Time after time against Sequim, the Wolves would rally, put together a nice run, pull within a single bucket, then not be able to get over that last hump. CHS led twice, at 6-5 after Ema Smith threw her rear into a defender and backed her down for a solid bucket in the paint, and 19-18 right before the half. At that moment, the Wolves were on their best run of the night, a 10-2 surge which saw four different players score. Kyla Briscoe started it with a soft jumper in the paint, then Scout Smith tickled the nets for a pair of free throws before setting up Lindsey Roberts for a bucket with a beautiful entry pass. Add two more free throws from Roberts, who passed mom Sherry to become the family’s all-time leading scorer (she had already beaten her grandfather, dad, two uncles and an aunt) and a coast-to-coast romp by Kalia Littlejohn, and the heat was on. Littlejohn, who spent much of the night driving Sequim’s ball-handlers batty, picked the pocket of a rival, then thundered to daylight, slicing between two sprinting defenders to slap the ball up and off the glass. But, as good as the moment seemed, it was fleeting. Sequim dropped in a short jumper to regain the lead and end the half, then refused to surrender the momentum in the second half. Three times the Wolves repeated the same sequence — fall behind, rally within a bucket, then fall behind again — before eventually running out of opportunities and time. Free throws were a true killer as the game played out. After hitting five of six freebies in the second quarter, Coupeville made just 4-17 free throws in the second half, including missing seven in the game’s final 51 seconds. As he watched it play out, CHS coach David King had a mixed reaction. “Throughout our first five games we have done a very good job of attacking the basket and getting to the free throw line,” he said. “Today we shot 23. I’ll take that every game. Coupeville kept things close in the final seconds by hitting the boards (and the floor) hard. Mikayla Elfrank ripped a rebound away from a Sequim player on one of the missed free throws, turning it into second chance points, while Ema Smith was an artist. Crashing to the floor, she pulled a loose ball from between a player’s legs, then alertly popped up to her knees and delivered a bounce pass right on to the fingertips of Roberts. Bing-bang-boom and a broken play turns into a Wolf bucket. Hustle plays like that, and the take-no-prisoners style of team leaders like Littlejohn (“Kalia played outstanding again for us”) offer genuine hope for King as the team prepares to launch a bid for a fourth-straight Olympic League crown. Coupeville’s hoops guru also liked what his players brought to the court on defense. “At times we caused some turnovers with our press. We did some good things,” King said. “It’s a work in progress and we are dedicating more time to making it a disruptive part of our game. 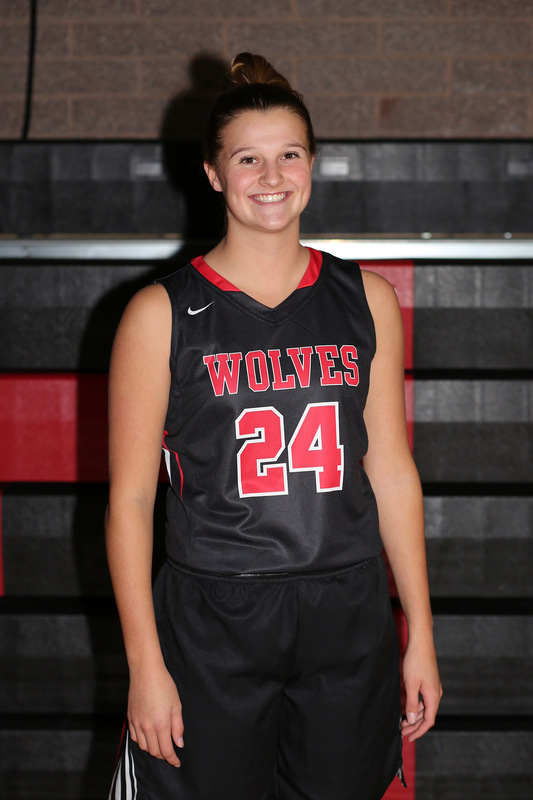 Roberts paced Coupeville with 11 points, lifting the junior to 173 in her career. Her mom scored 165 in her Sherry Bonacci days before graduating in 1989. Elfrank and Littlejohn each tossed in nine, while Scout Smith, Briscoe and Ema Smith all had a bucket to round out the scoring. Allison Wenzel, Sarah Wright and Avalon Renninger saw floor time as well for the Wolves.